Global shipments of tablets is declined by 8.5% in the first quarter of 2017 and accounted for total tablet shipments of over 36 million. Availability of plethora of devices and market players such as Samsung, Apple, Huawei and others however, the market is still experiencing the decline owing to growing popularity of phablets and smartphones is hampering the profit margin of tablets market. This has affected the tablets market in India as well. Large screen smartphones and detachable laptops which provide same experience to consumers as tablets are hindering the growth of tablets. Leading vendors are diversifying their product portfolio by including detachable tablets. High cost and performance disparity between a convertible tablet and detachable pc is obstructing the growth of tablets market in India. Moreover, recent initiative of demonetization taken by Indian government has affected the India tablets market. In 2016, tablets shipments in India experienced a decline of 19% as compared to 2015. However, shifting of many schools and government offices from desktop machines towards Windows or Apple products such as iPad or Chromebook is likely to increase the demand for tablets in India. Cost effective devices offered by vendors and portability of tablets are expected to support the growth of India tablets market. In 2016, total tablets shipment in India was recorded as 0.98 million units including slate and detachable tablets. India tablets market is projected to garner USD 0.38 billion in 2024 and is anticipated to grow at a CAGR of 9.5% during the forecast period. With the rise of 4G availability over 81% in India, the demand for 4G tablets has also increased. 4G tablet market increased by 15% in first quarter of 2017 as compared to 2016. Whereas, Wi-Fi and 2G tablets is witnessing decline in demand in 2016 as compared to 2015. In 2016, Wi-Fi tablets declined by over 25% and 2G tablets witnessed a fall of over 52% as compared to previous year. However, Wi-Fi enabled tablets are experiencing notable demand among students. Android based operating system is bracing up the growth of smart devices market in India. Over 85% of market share is occupied by android based OS tablets in 2016. iPad held nearly 10% share of India tablets market in the same year. Market players such as Datawind occupied the largest share of India tablet market owing to its low cost tablets. 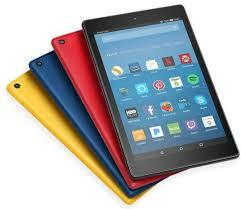 Local players such as iBall and Micromax have also experience rise in the shipments of tablets in India. Players such as Samsung occupied nearly 16% market share and Lenevo occupied 13% share of India tablets market in 2016. Changing lifestyle and rising personal disposable income of the country is supporting the purchasing of tablets in India. Over 40% of Indian populations are using tablets with price range between USD 300 to USD 600. Huge adoption of cost effective mobile internet access devices are contributing in the sales of tablets. Moreover, tablets are becoming preferable for communication. Over 35% of tablet users in India prefer tablet for email, message or chat every day. However, tablets are still facing a sluggish growth in Indian market. High costs of technologically advance tablets are limiting the adoption among major part of population in India. Goods and Services Tax (GST) in India is also negatively impacting the growth of tablets market in India. Low credit tax and lack of transparency among retailers and local distributors of tablets are leading to limited inventory stock. This is likely to impact the shipments of tablets in Indian market.